A "puppy mill" is a place that mass produces puppies for profit. Breeders sell the puppies to people or pet shops. They typically resort to inbreeding dogs and the resulting puppies are often sickly or deformed. Dogs used for breeding as well as the resulting puppies usually are kept in deplorable, inhumane conditions. By far, the best thing you can do to help remedy the puppy mill problem is to not support pet shops and adopt or foster instead—and then encourage everyone you know to do the same. National and local rescue organizations work tirelessly to spread awareness and encourage people to adopt from local shelters or the pound for a donation or fee, which is often no more than $200 to $250, rather than support pet shops that charge hundreds for puppies they get from puppy mills. The fee covers the expenses a rescue incurs when pulling a dog from the pound, spay or neuter surgery and microchipping. Find out which local rescue groups are in your area, and whether they focus their efforts on rescuing dogs that come from puppy mills and volunteer to help. Work with the rescue group to do everything from spreading awareness about a specific puppy mill on social media sites to writing to the press about a puppy mill so it can draw attention and get the authorities to respond quicker. Find out what the laws are regarding dog breeding not only statewide but regionally. Do not attempt to seize a dog that you believe is abused or neglected. Doing so is against the law in some states, such as Pennsylvania, and may put you in a dangerous situation. Instead, work in conjunction with rescue organizations to see how to safely and legally obtain video and audio evidence of inhumane conditions, so you have something tangible for local police and law enforcement. You also can organize boycotts and protests in your neighborhoods. You also can contact the U.S. Department of Agriculture's animal care division, which is responsible for licensing wholesale breeding operations. Report the puppy mill you suspect of mistreating dogs for the sake of turning a profit. The USDA can become involved in a search and seizure operation if it finds the puppy mill in question is unlicensed. Caution - No doubt about it, emotions can run high in the world of animal rescue and even though you may have only the best of intentions, you still need to follow the law. 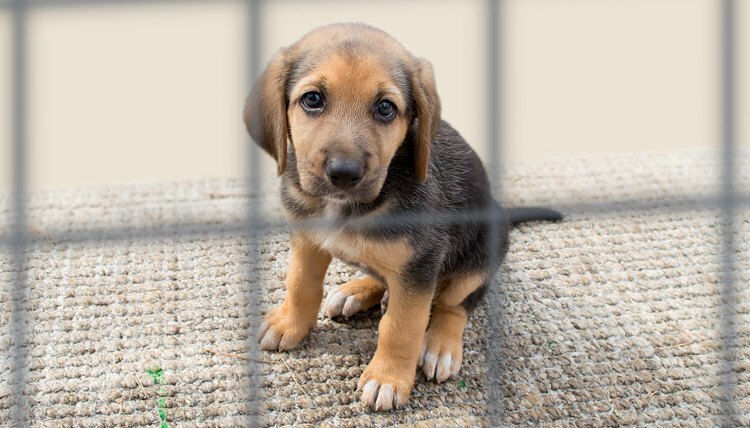 If you believe an animal should be seized from an inhumane situation, notify a local or national rescue and law enforcement. Do not attempt to seize the dog yourself. Doing so can not only put you in physical danger but also result in a fine or jail sentence.